At the end of the journey to all of the previous frontiers, man encountered strangers. When the Neanderthal left the cave, he met Cro-Magnon. When the Greeks left the Mediterranean, they met Europeans. When Europeans searched for spice, they discovered the Asians. When Columbus sailed for India, he met… well, Indians. And now our explorations take us beyond the solar system to search for other stars and life on other planets. My first question is, What then? What’s our plan if we locate a little speck of dust circulating around a little twinkle of light in the dark sky? What if we determine that on a unique ball of clay, the temperature is not scorching and the atmosphere isn’t poisonous gas? What do we do then? What if, after all of our searching and exploration, throughout all of the eons of time and vastness of space, there is no other place like this one? What if this speck is the ONE with life on it? What if the magnificent diversity of our Earth is as good as it gets? What if everything else in this hot mess of a galaxy is just star stuff, and nothing else breathes? Maybe the orchestral genius that it took to cool and heat, to crystallize and solidify, to grow and blossom, and to think and love ourselves here has only happened once. When you think about it, it’s a miracle there’s any life in this universe at all. And yet, here we are – each of us – more rare and precious than stars… and certainly more accessible – traveling companions for whatever journey awaits. 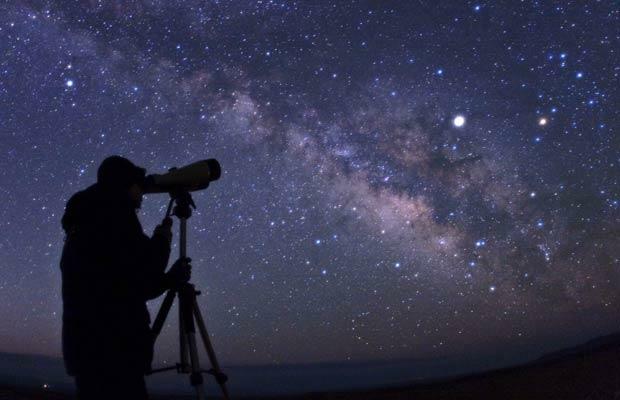 So what if, the next time you look at a stranger – their eyes and smile, personality and character, unique in the universe of humanity – you see them with the same wondrous awe you have when gazing up at the night sky? And then treat them with mankindness. We are not alone in this Youniverse. We have each other. Best. Planet. Ever. Happy Earth Day!